Reading is one of my favorite activities, and reading marketing-related books allows me to constantly evolve both my marketing philosophies and practices as I help my clients better engage their online stakeholders. In no particular order, here are the eight best marketing books I read in 2013. These books made this list because they changed my perspectives and made me a better digital marketer and/or human being. 1. 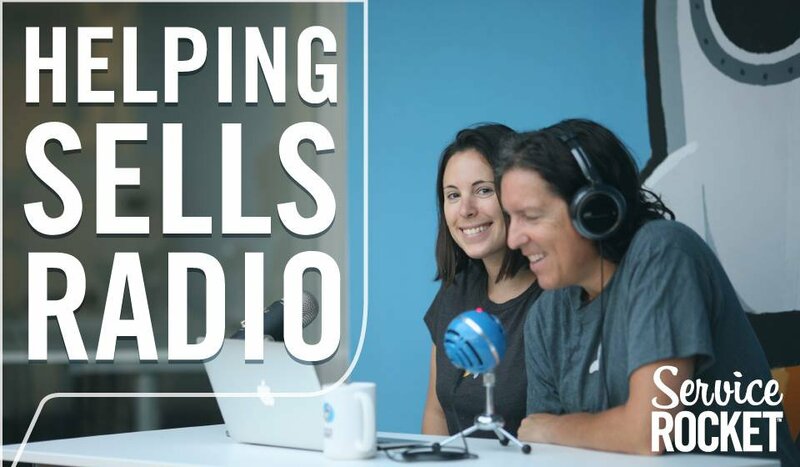 Hooked: How to Build Habit-Forming Products by Nir Eyal and Ryan Hoover. Hooked just came out this week, but I got the privilege of reading and providing feedback/revisions on an advance copy of the manuscript as part of a crowd-source editing project (how cool is that?). Delivered with humor, Hooked explores the human psychology behind habit-forming products and technologies. Why do we log in to Instagram or check our e-mail? Why do we use one keyboard and not another? What makes us loyal to our favorite brands and turn up our noses at competitors? I absolutely consider this essential reading for digital marketers, or anyone who really wants to understand (and better serve) their target audiences/markets in the ever-changing digital age. Design thinking incorporates a unique, collaborative process to determining whether an idea or product will work in the marketplace. What Is? What If? What Wows? What Works? Are the crucial design-driven processes outlined in the book and in a Coursera class, Design Thinking For Business Innovation, which I participated in as a companion to the text. The book contains incredibly practical strategies for testing assumptions and using an iterative approach to developing business and marketing ideas. Letting Go outlines an easy-to-digest approach to creating “marketing moments” and building user trust and confidence across all web content. While the book doesn’t address the flat design and mobile responsive elements that companies typically seek in website designs nowadays, the philosophies it contains on what converts on the web are timeless and valuable. Redish suggests using concise copy that entices users to take a clear action. A must-read if you’re doing web writing, editing, or run a business that includes any of the above. What so many app developers don’t realize is that developing and pushing out an app is just the first step–promotion is a crucial part of the process that can’t be underestimated. This book offers a lot of great advice for those who want to launch apps, optimize landing pages and SEO for the iTunes store and Google Play store, as well as create the ideal PR materials to support products. The authors’ best advice? Position your app well among existing apps in the marketplace and build relationships with key bloggers and influencers in the space. In 2002, working out of his Stanford Persuasive Technology lab, BJ Fogg anticipated how deeply our lives would be changed by technology–even before smartphones, Facebook and many other modern technologies were around. Fogg’s research shows how technology can be used to persuade us to take action–sign up for a newsletter, install anti-virus software, drive slower, and influence user perceptions of a company or product. I paid particular attention to the ethical concerns related to persuasive technology section–one that’s quite timely in the wake of NSA surveillance and other potentially invasive applications of available technology. Gary Vaynerchuk has a big onstage personality and equally big credentials to back up his stage bravado. After building multi-million dollar wine business WineLibary.Com, Vaynerchuk established Vayner Media, a successful (and profitable) digital marketing agency with home bases in San Francisco and New York City. His latest book explores the nature of each social networking platform, and discusses how brands can leverage each to support their marketing endeavors. While Vaynerchuk’s signature foul language and off-the-cuff style are present in this book, the information shared is top-notch and should be required reading for any marketer or company leader serious about getting a return on investment on digital marketing campaigns. Information architecture is one of the most important aspects of a website, and this textbook introduces the core concepts of information architecture: organizing web content so that it can be easily found, creating user-friendly web interactions and interfaces that are easy to understand and use. It’s useful for marketers to understand information architecture philosophies and best practices as well as user experience (UX)–whether overseeing web development or not. This is a no-nonsense guide to Adwords, great for anyone who needs to set up a new campaign and/or wants to learn more. I appreciate how it outlines “peel and stick” best practices to get the best results and optimize ad ROI. There’s a lot of nitty gritty details that can make or break a PPC campaign’s success and budget. 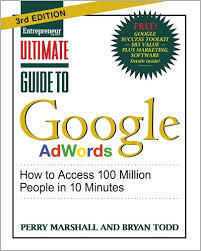 This book is one of the best in class for anyone working with Adwords on a regular basis. Thanks for reading! I’d love to hear what books you read and loved in 2013 and why they made an impact on you and/or your business. Please feel free to share in the comments.